Located in the heart of NoLita, Rubirosa Ristorante is the quintessential Italian eatery – offering delicious gluten-free Italian-American cuisine with a side of dimly lit, lively atmosphere perfect for any occasion. It can be tough to get a spot – sign of a true gem. Reservations fill up weeks in advance and walk-ins can easily wait up to 2 hours for a table but I promise it’s worth the wait. As someone once said, “patience is waiting for good things to happen” and I’m assuming this person was talking about food. 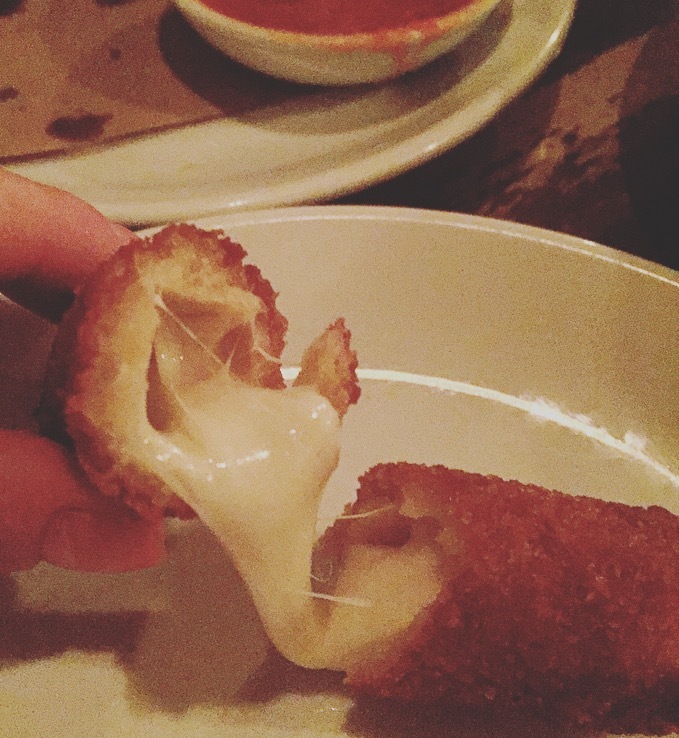 Melted mozzarella cheese encased in a tomb of fried bread crumbs – need I say more? The mozzarella sticks are pretty much amazing and if I could eat them everyday I totally would, seriously. Added bonus, the tomato sauce is the perfect complement. And don’t worry because Rubirosa uses a separate fryer for all gluten free items. It’s usually a given that if calamari is on the menu I’m going to get it. However, not all calamari is created equal. 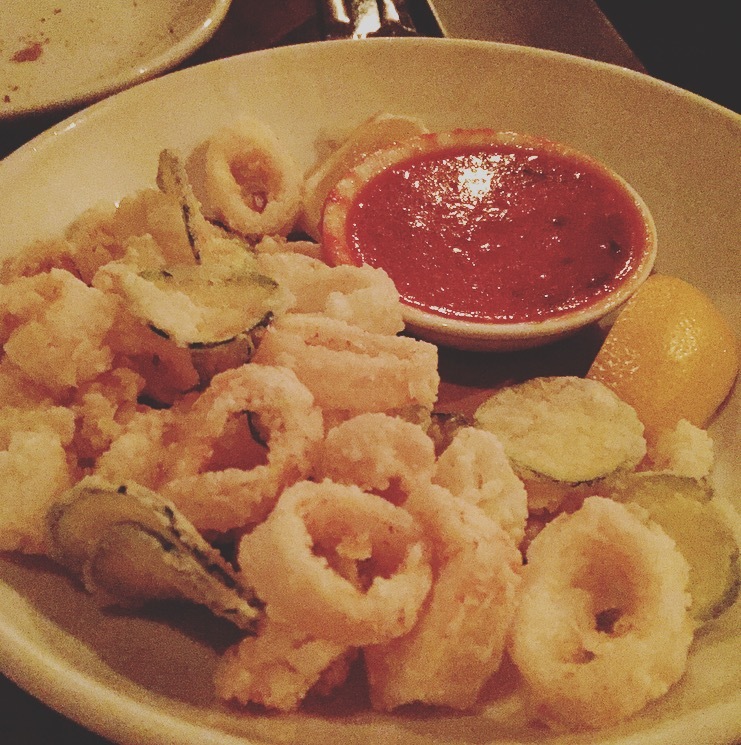 And it pains me to have to say this, because I love Rubirosa, but its calamari is not my favorite when compared to other restaurants in New York City that offer gluten free calamari (Pala Pizza, Senza Gluten, etc.) Rubirosa’s calamari had a good texture but the flavor was lacking to the point that it didn’t taste like anything. It could have benefited from seasoning it with salt. Hopefully my experience was just a fluke. When you can’t decide on which pizza to get, combine! 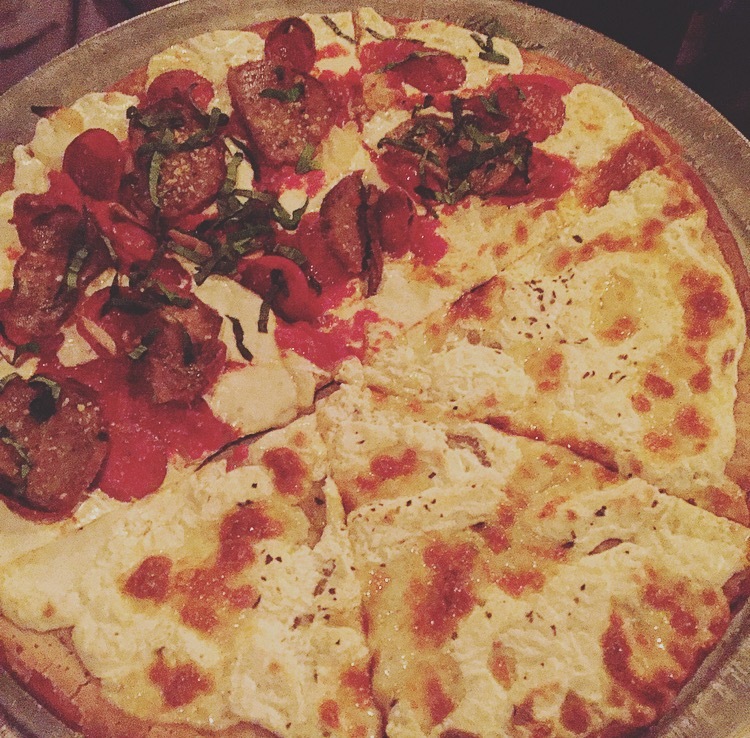 Rubirosa’s toppings are some of the best – the pepperoni has a spicy bite with a crunch, the sausage is slightly sweet with the taste of fennel and the generous portions of ricotta, mozzarella and parmigiano that make up the Bianca are delicious. In short, I love this pizza. Fun Fact: Rubirosa has been a staple of Italian-American cuisine for years but more recently it has also become famous for its vodka sauce pizza. Next time I go I’m definitely getting it. Also, Rubirosa isn’t just known for its gluten free pizza, its a legit Italian restaurant that offers antipasta, pasta, meatballs, and much more and it’s all gluten free! Verdict: What are you waiting for?! Do yourself (and your tastebuds) a favor and get down to Rubirosa for some amazing gluten free pizza, mozzarella sticks and a glass (or two) of wine. From offering a smorgasbord of delicious gluten free options to a fun and lively atmosphere, Rubirosa is the perfect spot to kick off any night out. Till we eat again . . .